Enhance the appearance and safety of your field with Premium Custom Rail and Post Padding. Made in 6’ long sections with grommets for easy installment, this padding will fit most fence-tops and posts. Our 1” and 2” thick foams provide maximum protection from injury and the 18 oz. vinyl covering maintains durability against the elements and players catching fly balls. 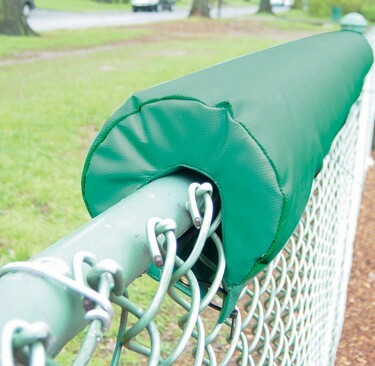 Enhance the appearance and safety of your field with Premium Custom Rail and Post Padding. Made in 6’ long sections with grommets for easy installment, this padding will fit most fence-tops and posts. Our 1” and 2” thick foams provide maximum protection from injury and the 18 oz. vinyl covering maintains durability against the elements and players catching fly balls. Choose from 14 colors to match your team’s colors.